The role of religion, power, caste and community in our lives - especially in sharp contrast to its insignificance in the western world - causes me much angst. Hindu, Muslim, Brahmin, Kshatriya, MLA, Cabinet Minister and other considerations take precedence over merit, order, society, public good, nation, India. The betting scandals had long killed my fervour for cricket. That we were ranked second in the ODI ratings and first in Test ratings, I cared little for. Heck, I wasn't even sure if Dravid still played for India. As the buzz of the upcoming World Cup got louder though, some spark ignited my fire again. The D/N matches - and most of the good ones and all the knockout matches were D/N matches - began at 1AM local time for us (and 2AM when we moved to DST). But I was up for it. I subscribed for the streaming service and adjusted my schedule accordingly. Grabbing 2-3 hours of sleep before the match and 1 hour in between innings became a routine. Midnight snacks became a regular meal, and Facebook was the medium to discuss the match real-time with friends and family. I had forgotten the agony of the 2007 World Cup, so I was sure we were going to make it to the quarter finals. But QF was all I was expecting - and the expectation dropped I guess, given that we were up against Australia for the QF. In a solemn show of patriotism, 12 of us colleagues gathered in the office at 2AM to cheer for Team India - hoping we would win, but assuming this was going to be the last match. The victory that unfolded was of course, a precursor to a monumental and larger victory. Outstanding fielding and bowling followed by gritty batting saw us through. A billion hearts stopped for a few overs as we stumbled at 187/5 with 70+ runs to score against an Australian onslaught, but we did it. The first wave of patriotic euphoria was evinced right after the quarter-final on Facebook and Twitter. As my good friend, Prasad Govenkar put it, "FB and Twitter would have had their fair deal of performance testing today. The real test would be on 30th March..". Indeed, the victory "polarized a unified wave" of support and euphoria. Needless to say, that we were up against Pakistan in another epic battle gave the whole game a different hue. Ignoring the right/wrong, rational/irrational, hyped/well-deserved aspects of our attitude, the plain truth is, an India-Pakistan match does embody more than just the game of cricket. The undercurrents are too deep and strong to allow even the most rational of us to focus on just the cricket. The already high-voltage atmosphere became super-high-voltage thanks to the media, Facebook, Twitter, blogs, Dr. Manmohan Singh's invitation to his Pakistani counterpart and in general, the intensity of collective sentiment. When Pakistan lost Afridi, I could already smell the firecrackers back in India. The law of averages had to postpone their act for another day. Along with Team India, the fervour also climbed to the next level. April 2 was declared a state holiday in Maharashtra because police troops from all over Maharashtra were moved to Mumbai. Wankhede became a no-fly zone. 3,000 VIPs, diplomats, celebrities and mega-stars - including the Presidents of India and Sri Lanka - lined up to attend the mega show. Police barricades went up at 5PM the previous evening in a 1.5 kilometer periphery beyond the stadium. Facebook profiles took on the "Bleed Blue" badge. Meetings were cancelled and deadlines were pushed out. Families assembled and snacks were lined up. Cell and internet service providers geared up for the onslaught. Alarm clocks were set for 1:40AM - 20 minutes ahead of the match - some of us wanted to catch the national anthem before the match. For an entire week before the event - and God knows for how long after the victory - little else mattered. All over the physical and virtual (read: Facebook, Twitter) worlds, we had only one identity: Indian. We were rooting for just one team: India. 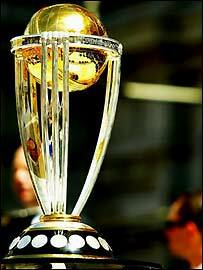 We all wanted the World Cup to be won by one country: India. Our clocks were tuned to just one timezone: India. I am not embarrased to say I had goose pimples when "Vande Mataram" started playing in Wankhede as the contest drew closer, tighter and more intense (though one may question the lack of neutrality of a World Cup host in that action). Nor that I felt a lump in my throat as I voluntarily sprang to my feet with a gut-racking yell when Dhoni hoisted Kulasekara for the winning six. And another colleague posted this video of celebrations in Artesia (near Los Angeles). The Hindu, Muslim, Brahmin, Kshatriya, NRI, MLA, Cabinet Minister, Prime Minister, Bollywood Celebrity, Industrialist, Italian King Maker, Heir Apparent, Advertiser, Manufacturer, Banker, Broadcaster, Service Provider and common man had come together for a single-point agenda: cheer Team India. Bleed Blue. Jai Ho! Last but not the least, let's not forget the sacrifices and efforts of countless law & order personnel who stayed away from the match and their families to ensure order and everyone's safety.